Intrigued by rumors of vanishing box office money, Dodie has agreed to help oversee the casting of Romeo and Juliet at the modest Etonville Little Theater. If nothing else, it’s a welcome escape from the thirty-something’s usual going-to-bed-with-a-mystery-novel routine. But when Jerome Angleton, a well-respected member of the theater company, is inexplicably found murdered on the loading dock, deadly drama transcends the stage — and the page. As a crime wave crashes over the small town, the spotlight is on Dodie to orchestrate her own investigation behind the scenes . . . before someone has a chance at a killer encore. For a sneak peek, click "Look inside this book" to read Chapters 1 and 2 of Show Time. You can also read an "Author Post, Behind the Scenes…" on Kensington's website. When Miranda isn’t teaching at Obadiah Durham College, she’s investigating paranormal phenomena — or enjoying a turbulent romantic relationship with backwoods artist Jack Crispen. JJ’s inquisition-style gospel has alienated her long since, but when he announces his plan to transform her forest home into an evangelical Mecca, complete with neon cross and 40-foot Jesus, Miranda girds her loins for war. But JJ isn’t finished: he goes on to launch an attack on her friend and fellow professor Djinn Baude with an avalanche of vicious rumors. Not only does he accuse Djinn of demonic communion with the old Voudon witch whose curse killed the college’s founding family, but he also smears her with insinuations of lechery and vice. FREE at Smashwords through 7/22/16. 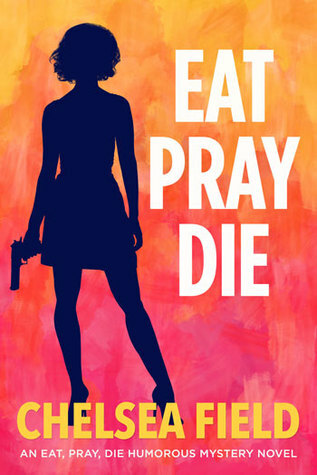 I just read an amazing book, y'all — Eat, Pray, Die, by Chelsea Field. Let me tell you a little about it.